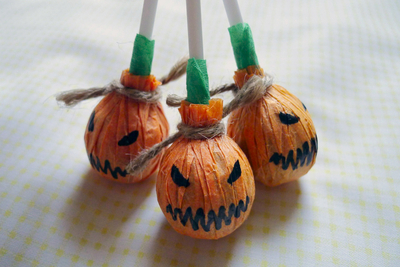 Make these special treats to give away on Halloween. 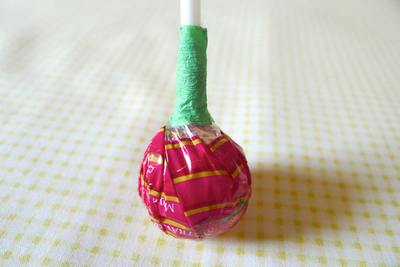 Wrap a bit of double-sided tape around the base of the lollipop. 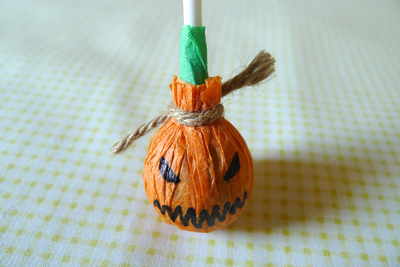 Cut a short piece of green crepe paper and lay it over the tape to create the stem of the pumpkin. 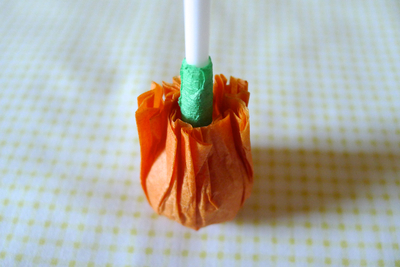 Cut the orange tissue paper into 10cm diameter circles. 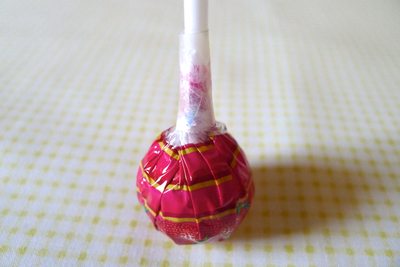 Wrap the tissue paper circles around the lollipop (I used two layers so the lollipop wrapper wouldn't show through). 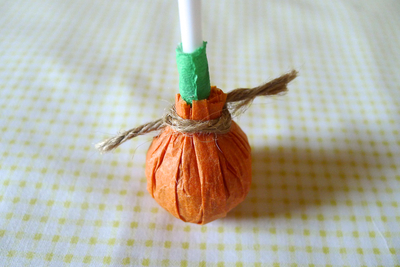 Tie a piece of twine around to hold the tissue paper in place. Draw on your jack-o'-lantern's face with a black marker.